Poorly managed floods create big problems for communities and river health, restoring floodplains are good for people and rivers. A flood is a natural occurrence. But did you know that one acre of healthy functioning floodplain wetlands can hold up to 330,000 gallons of water? 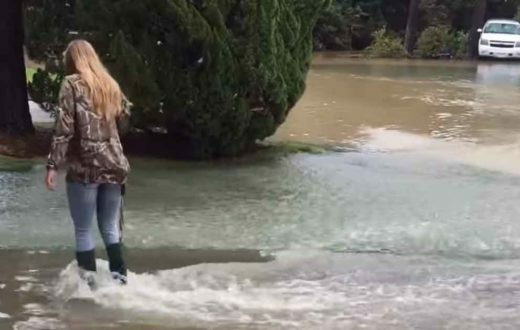 The flooding caused in North Carolina by Hurricane Matthew – a storm that was not supposed to hit the state – set a new mark for flooding in the eastern part of the state. 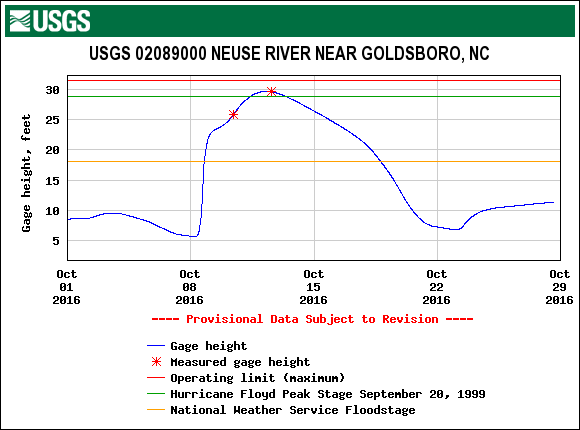 This is even after all the work that was done following Hurricane Floyd in September of 1999. 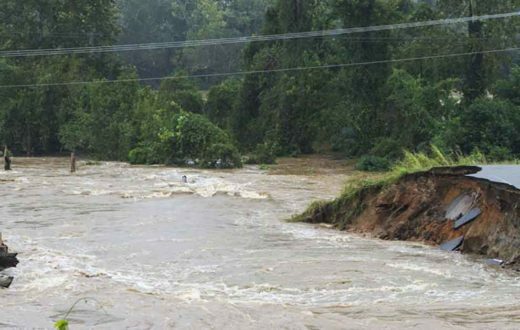 The rains of Matthew came, they ended, and then days later the flooding really hit. North Carolina has been dealing with hurricanes and their rain fall since settlers first arrived here. These communities are accustom to the heart wrenching destruction that comes along with rivers surging from their channels and flowing down main street as if it were just a part of the river. These recent floods though were historic. They show that this was not localized nuisance flooding caused by a heavy rainfall but that it was a systemic flood that needs to systemic solution. The 1997 book by John Barry, Rising Tide, received a national resurgence after the floods of Hurricanes Katrina and Rita that devastated southeastern Louisiana and New Orleans though its focus was on the last great flood of the area – the Mississippi River flood of 1927. This great flood produced a mentality within the U.S. Army Corps of Engineers that in order to keep people and the economy protected we had to control and contain our nation’s rivers. This lead to the construction of huge levees along the Mississippi River and started the now never ending struggle that the Corps has to keep that massive river in its designated place. Unfortunately, that struggle has not always been able to produce the best outcomes. The floods of 1993 were catastrophic because rain in the headwaters of the Mississippi and Missouri Rivers were unprecedented and funneled downstream creating an unnaturally overwhelming amount of water that no levee could have contained. 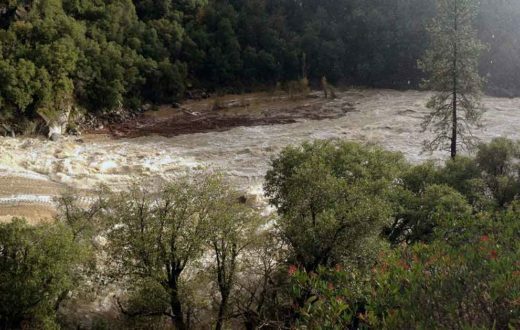 After those events – and other floods since then – the Corps and the Federal Emergency Management Agency (FEMA) have been working to implement a new approach where ever possible, protect people and the economy by giving rivers space and keeping people out of the floodplain. A river system is dynamic it goes through cycles of high and low flows (flood and drought). The ecology of the system is designed to be sustained through all phases of those cycles. Restoring floodplains to give rivers more room to accommodate large floods is the best way to keep communities safe. 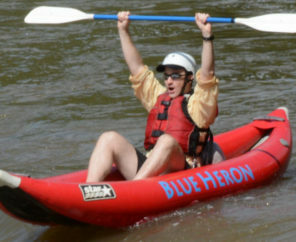 Giving rivers more room provides a number of other benefits including clean water, open space for agriculture, recreation and trails, and habitat for fish and wildlife. When we manage rivers wisely, we can keep communities safe and enjoy all of the benefits healthy rivers provide. Small floods are very important to the health of a river and the land around it. They nurture life in and around rivers. The fish, wildlife, and plants that live in or along a river or floodplain, often need floods to survive and reproduce. During big floods, healthy floodplains benefit communities by slowing and spreading dangerous flood waters that would otherwise flood riverside communities, harming people and property. Healthy floodplains are nature’s flood protection. Giving rivers room to move is our best protection against floods and is a great way to help keep rivers healthy. 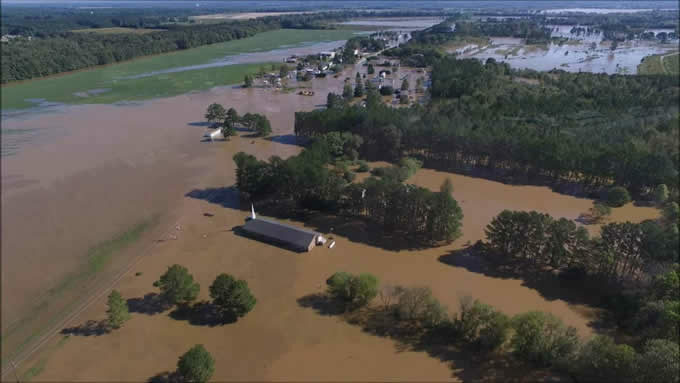 North Carolina has the opportunity to avoid the mistakes of the Mississippi River basin and develop a systemic approach to flood management that protects people, reduces economic loss, and makes a healthier environment. We have examples from around the state that illustrate this type of work. 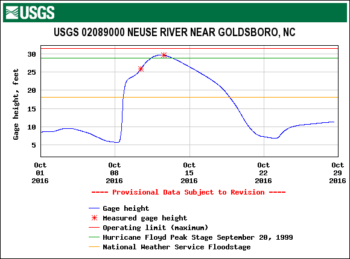 Greenville, NC learned from Hurricane Floyd developed a plan to get as many people and businesses out of harm’s way. In Charlotte, the restoration of Little Sugar Creek highlights the importance of giving even smaller streams the space they need to flood by getting out of flood plain. 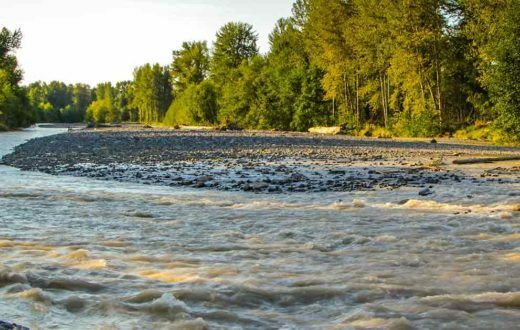 Following the lead of those communities, the state and federal government needs to identify areas of the rivers that can be restored to give these rivers the space to flood and relieve pressure on areas where people live keeping them out of harm’s way.